Thanks for posting; I'll be watching to see how it does. Yes K, should be interesting. 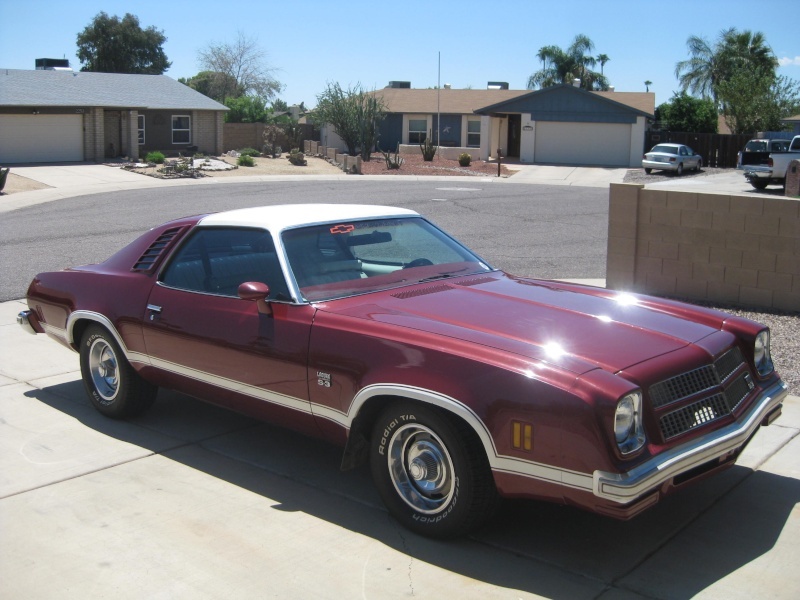 I'm not sure the laguna's are as popular as the straight Chevelle's, and the money seems to go to the big block 4 spd cars,but I like this car for it's original condition (except for mods), and it's body/paint condition...price is about half way to what I would accept so far. Hold out for what you want. It'll sell. It might take 2 or 3 auctions, but you'll get it. I've been watching a few, they usually will get 8-10. Just gotta wait for the right guy to see it. Thanks RC, nice lookin' car you got there. Welcome...6100 with 4 days left...not bad so far! Nice! You will get what you want for that. Nice color combo too. Hell I would buy it if I had more garage. There's a good chance there will be a lot of activity in the last 20 minutes, then the last 2 or three minutes. I sold a mustang on ebay last year that went up 3k in the last few. I lowered the reserve to within a couple hundred bucks of the highest bid about 2 hours before it was over. Best of Luck not ...I mean rehoming I hate to see one go up for sale, But good luck on next try .... After all that work though why Sell it ? I thought so, I was watching and after 1st auction, 2nd auction ended but I couldn't tell if it sold. Congrats! TX to Montreal is a helluva long trip! Well, I thought it was a good price, but I miss it already...! Could have been...that's where it came from.